Is ‘Thicky Nicky’ Morgan living up to her name? ‘Thicky’ Nicky Morgan: Look at those staring eyes – no intelligence there! If a cabinet minister doesn’t understand that George Osborne’s cuts to PIP aren’t “proposals” but are firm plans, what does that say about the rest of the Tories? Vacant-headed ‘Thicky Nicky’ Morgan – who, unbelievably, is the Secretary of State for Education – has been trying to tell us that Osborne’s plan to cut PIP payments by £1.2 billion a year is just a “suggestion” and is “under consultation”. 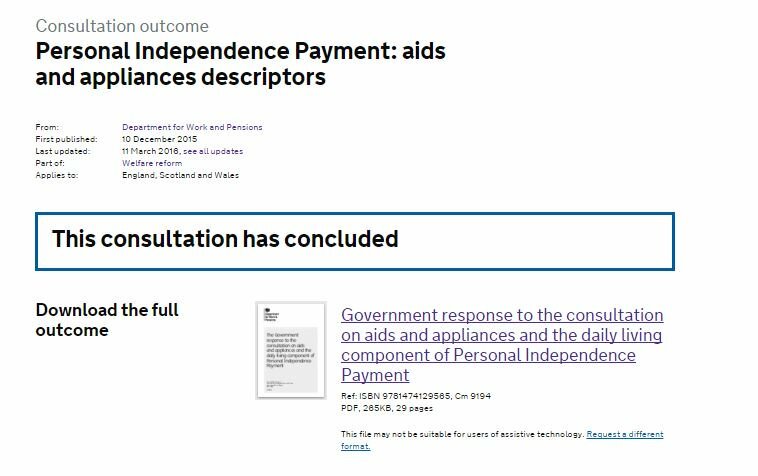 Didn’t anybody tell her that the consultation has been and gone and the government has responded to it? Osborne probably sent her out to tell us any old tripe, in the hope that we’d look into her wide, staring, guileless eyes and believe it. All he has done is confirm what an imbecile she is. Education Secretary Nicky Morgan described the plan as a “suggestion” and said it was “under consultation”. But sources close to Work and Pensions Secretary Iain Duncan Smith said her comments don’t “tally with what we and Downing Street are saying”. The BBC was told Mrs Morgan didn’t “seem to understand” the proposals. Could not agree more and she is charge of children’s education says it all really. Seems to me more like a sign of panic! Well has the unelected eu commission actually ratified the budgeteer because if they haven’t then technically at least she is correct. No, the EU doesn’t have any power over nation states’ budgets. actually it does just ask the Greeks. Try to take part in an adult conversation please. Greece was hugely in debt to a Troika of financial organisations, not just the EU, who then tried to dictate what that country should do. Part of the problem was that Greece did not have its own currency, meaning it could not change monetary policy to its advantage. The UK is not in anything like the same kind of trouble. It isn’t in debt on anything like the scale of Greece, and we have our own sovereign currency. You’re not comparing like with like and you know it. Cut her some slack she is after all a Tory. First per-requisite being that she has to be stupid. Judging by another lousy performance on QT, most definitely! I would rank her and Anna Soubry as the two nastiest female Tory MPs in the HoC, and just as stupid. I think the QT audience was a bit subdued last night. Nicky Morgan was also the one who openly called JC and JM “terrorist sympathisers” on a previous QT. Well, it was said not too long ago that most right-wing reactionaries aren’t very bright. clearly has no understanding of the English language.